Animal Health Sensors and Monitoring Systems focuses on the equipment and implementation of different sensors used for monitoring the health of livestock animals. 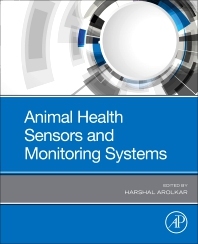 The book examines how to develop and deploy monitoring systems that can track an animal’s health scenario on a 24/7 schedule, also providing vital information on how to combine the use of multiple sensors to cohesively and comprehensively acquire the most useful data. It is the ideal resource for researchers and academics in precision livestock farming (PLF), but is also a great reference for students and farmers who are interested in combining technological advances with livestock health monitoring methods.